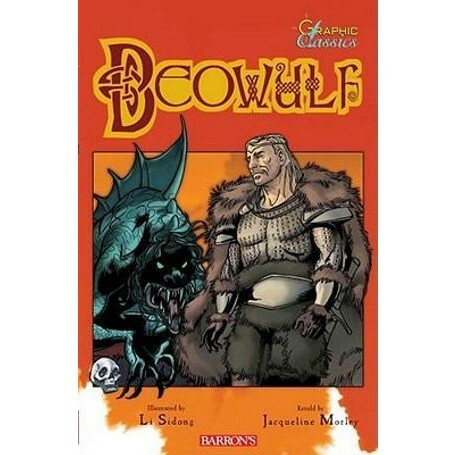 This retelling of the first great epic poem in the English language recounts the story of Beowulf, his heroic struggle against the monster Grendel, and his final fight to the death with a ferocious dragon. Barron's Graphic Classics offer easy-to-follow retellings of immortal literary works. They introduce elementary and secondary school students to many of our culture's great plays, novels, and epic poems, and encourage boys and girls to discover the joy of reading the masterworks in their original form. Graphic Classics titles tell absorbing stories with high-quality colour illustrations complemented with short narrative sections and dialogue balloons that capture the spirit of the originals. They also present background material to help young readers understand when and why the literary work was originally written. Graphic Classics titles are available in both paperback and hardcover editions.